Danilo “Canela” Capronihas a half-guard sweep and finish to teach you. 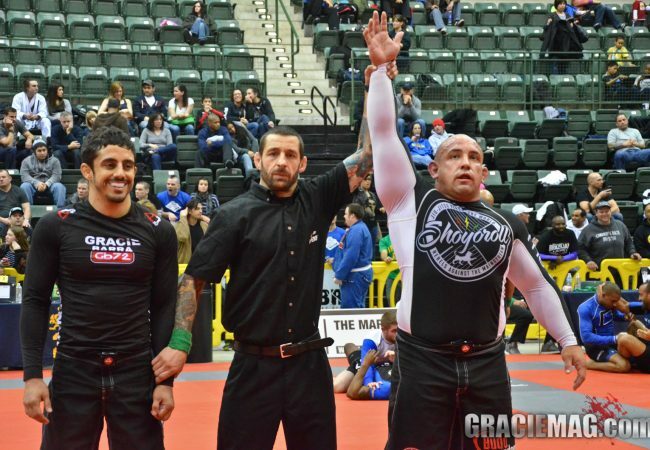 Photo: Gracie Barra publicity photo. 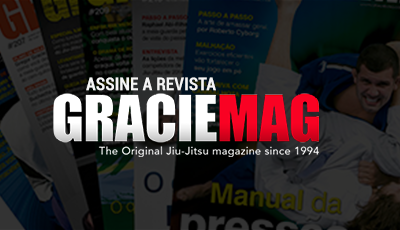 Today, Danilo “Canela”, a Professor at Gracie Barra, will be teaching an effective half-guard sweep. “With the left hand, grab one of the sleeves; with the right hand, grab the opponent’s pants. Now with the support of the hip, push him backwards to create leverage and sweep him using the weight of his own body,” Canela explains. “In the opponent’s half-guard, don’t release his sleeve. Using this grip, force his arm over his neck as if to go for an arm-triangle. He will automatically defend. Now free up your leg, move to mount and apply an armbar, holding the opponent by the knee to keep him from getting out,” adds Danilo. Did you like that position? Comment below.